Motez is certainly no stranger to Australian audiences, but over the last year the Adelaide producer has been growing a solid fan base with international audiences and experienced a giddy rise in fame. Motez only began listening to dance music after moving to Australia from war-torn Iraq with his family eights years ago. He is now being touted as one of the first and finest of future house music by international music blogs and counts names like Eats Everything, What So Not, Claude VonStroke, Shadow Child and Tchami as fans of his music. 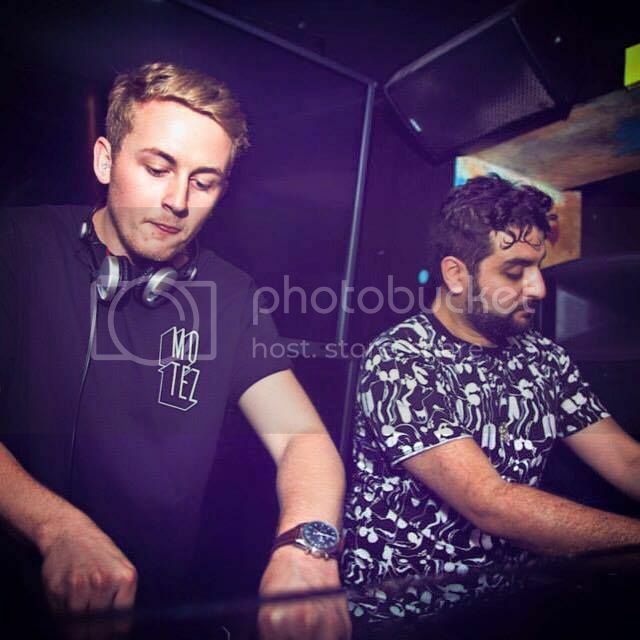 The May release of his two track EP, Vancouver has seen Motez lauded by tastemakers and influencers around the world and his track Tryna Shake It received a worldwide premiere by Annie Mac on BBC Radio 1. The increasing international recognition that the producer has been receiving has brought a feverish touring schedule to go with it. Earlier this year, Motez took to the road for Alison Wonderland’s sold out Warehouse Project tour before he jetted off to North America to rub shoulders with idols while playing some of the biggest stages in the world. 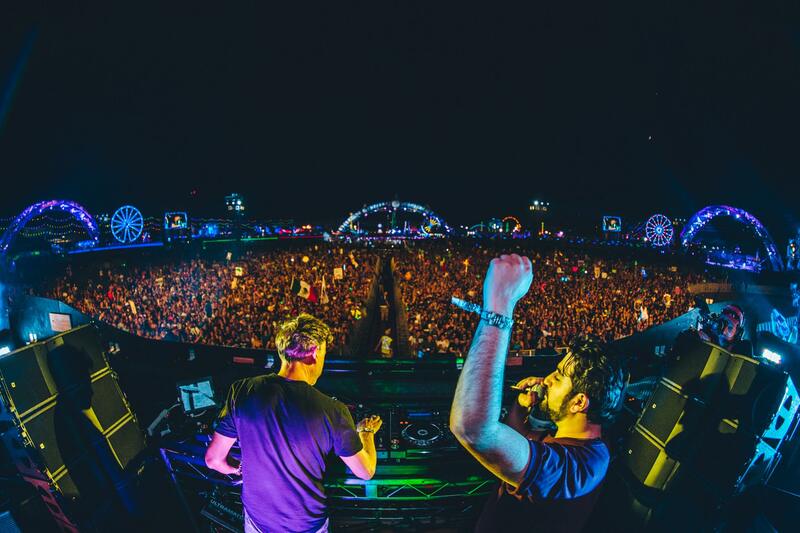 Fresh from his main stage appearance at Electric Daisy Carnival, Motez caught up with Pulse Radio for a chat. You’ve just finished a up a pretty exciting tour, what are you going to do now that you’ve got some down time? There’s a lot of work waiting for me pretty much. It started before I left but I had to wait until I got back home so I could work on it. I’ve got a few remixes, I’ve got to finalise the next release. There’s always a lot of work to do and I think touring will happen again soon, there’s Splendour at the end of the month. It’s all busy. You’ve really blown up since we last spoke. How was it playing EDC? That was craaazy. That was absolutely crazy. I think that the level of production that they have there just dwarfs anything that we have in Australia. The stage that I was playing there’s twenty to twenty-five thousand people at that very stage and then there’s thousands and thousands of other people at other massive stages. It was a crazy time. How do you prepare yourself for a gig that size? That’s the thing; I don’t usually plan my sets at all. I just have a playlist of things I really like mixed together with things I’ve been enjoying lately that I haven’t played. But with a gig of that size - I didn’t plan every single bit - but I plan generally what sort of sound I need to play because it’s a big stage. I mean it was huge. Standing on stage, I can’t see the top of the stage and there’s a massive owl at the top of it – it’s huge. With that comes a sound system that’s not a normal sound system and the size of the venue dictates that you play things that are a little bigger sounding. House music inherently is very small and cozy, so you need to find very particular tracks that work on a stage of that size with a crowd like the EDC crowd because they’re not used to hearing house music on a main stage. The reaction from them was amazing so it was very, very encouraging. I turned around 15 minutes through my set and didn’t expect to see him and he looked at me and said “We’ve always wanted to play this stuff on this stage and you’re totally killing it,” and he had the biggest grin on his face. That was one of the moments and there’s so many. Playing with the Night Bass guys, AC Slater’s label, and getting to hang out with those people was so good. How is touring life treating you generally? It’s been good. For two weeks I had to play EDC main stage, literally get back in the car and travel all the way back to Vegas – it’s not that close to Vegas, the main city – so I could play with Disclosure at their event and then fly out to Dallas and then go back the following day to EDC. It’s demanding so I’ve learned to make compromises and not party too hard. I only really had fun and got a little bit loose at the end of the tour, in Whistler. But throughout the tour I’ve been relatively careful about what I eat and all those things. I’ve learned to take care of myself. You’ve been getting equal billing with some pretty huge acts, I saw your name on a poster with Disclosure, Sasha and Dusky. What’s that like, are you getting recognized in the streets now? I don’t know. In Adelaide definitely, it’s happened in Sydney a few times, in the US, yeah. It’s weird that it happens but I definitely does happen. Nothing too weird or left of field though. Not yet. You’re still living in Adelaide, are you planning to move to a bigger city or perhaps overseas any time soon? Don’t think so. I love Adelaide, every bit of Adelaide. It’s one of the most underrated cities in Australia. The food is incredible; we live in wine country here – one of the best wine countries in the world. We were in Canada and we rocked up to the hotel and they had a bit of a stuff up with the booking so they gave us a bottle of wine and it was from South Australia. That shows you that this area’s amazing. I don’t think I want to move from here anytime soon. The life pace is really cool and it’s good to have a support network here. You travel a lot and you go to these crazy places around the world that are absolutely amazing but it’s really good to come back here to this calm place where everything is just relaxed. For the time being I wouldn’t move from here. How is the scene in Adelaide? I’m not sure. Just over a year ago I did a secret gig in Adelaide, no one knew where it was and we sold out the event within two days. I was very lucky to see that first hand, it shows that there is a lot of potential in Adelaide. I think it’s just merely the population size; we just don’t have the population to support niches on a grand scale. There is a relatively healthy music scene and it’s home for people like Luke Million, Tkay Maidza and Hilltop Hoods. These people don’t just come out of thin air - there’s a sort of support system here for people to leverage from. You played Splendour in the Grass last year, what’s going to be different this time around? Last year I played the Mixup tent and it was a huge crowd, it was like 9k people or something. This time it’s going to be a cozy stage – the Redbull stage. I remember last year I saw the Redbull stage and I thought ‘I would love to play this stage because it’s so cozy and really nice. The visuals, the atmosphere, the people there, everything.’The calibre of people that Redbull brings to that stage is so cool. So this year’s going to be that stage. We’re going to have people like Shlohmo and Nosaj Thing. I’m really looking forward to it. That’s going to be the main thing. Motez hits the road again this month to play the Redbull Music Academy stage at Splendour in the Grass, or you can catch him in November at Your Paradise festival in Fiji. Solomun returns to Pacha for his +1 party again this summer.